Yesterday we reported that the hosts of a popular BBC car show called Top Gear had launched a hateful tirade against Mexicans, referring to them as lazy, feckless, flatulent and overweight. Watch it here. In less than a day, more than 1000 Change.org members signed the petition to the BBC demanding an apology for such tasteless and offensive humor. After the hosts displayed confidence that no one would dare complain since the Mexican Ambassador would be asleep, it seems they awoke a sleeping giant as people from all over the world complained to BBC. One person of Mexican descent currently living in Britain is even filing a lawsuit against the show. 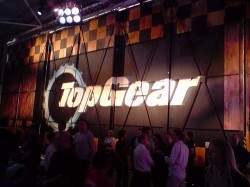 BBC producers at Top Gear have since shifted gears and written to Eduardo Medina-Mora Icaza, the Mexican Ambassador to the UK, and apologized for the comments made about him during the show. But it’s not exactly what we would call a full apology. While apologizing, the BBC also said that national stereotyping is part of British humor, and that the presenters did not intend to be vindictive. In that, the state-owned network did not necessarily apologize for the insulting comments directed towards Mexicans. “Our own comedians make jokes about the British being terrible cooks and terrible romantics, and we in turn make jokes about the Italians being disorganized and over-dramatic, the French being arrogant and the Germans being over-organized,” the BBC said. “Whilst it may appear offensive to those who have not watched the program or who are unfamiliar with its humor, the executive producer has made it clear to the ambassador that that was absolutely not the show’s intention,” the BBC said in the letter. There’s a place for satire and parody in our lives. But the BBC brand of humor crossed the line. It is incorrect to liken making fun of Mexicans with poking fun at the French or German. People of Mexican nationality are on a different totem pole in our global and national power structure. The hosts actually placed Mexicans below the German and Italians on the show, giving the latter positive stereotypes. As people who are discriminated against the world over and especially in the United States, it is unclear whether Mexicans will have their Irish-as-drunk-guy day. But till they do, stereotypical humor towards them from crass British commentators is not acceptable.